The national park was established on March 16, 1972 by a decret of the government. 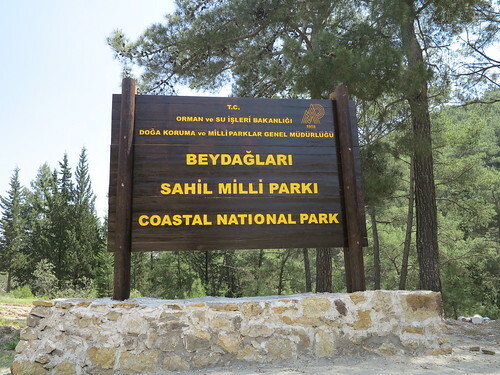 It stretches over an area of 34,425 ha beginning in Sarisu, located southwest of Antalya and reaching out to Cape Gelidonya parallel to the Mediterranean Sea across the Kemer-Kumluca shoreline. The ancient settlements Olympos, Phaselis and Idyros are situated within the national park, which lies between the shores of the ancient regions Pamphylia and Lycia. The natural gas which springs out of the cracks of limestone of the mountainous area located a few kilometers west Olympos is mentioned in the Iliad of Homer and called “The Fire Which Never Goes Out" . It has been burning for centuries and is mentioned in the Bellerophontos mythos as Chimaira (Burning Stone). The national park represents a rich biological diversity, 0-2365 m of elevation difference, various altitude characteristics. and plant associations of all climatic types of the Mediterranean Region. There are almost 865 plant species inside the park borders and 25 of them are endemic to the region and only grow in that region. Rare mammals include mountain goat, imperial eagle, bobcat, caracal and wolf.